On September 16, we will be joining hundreds of participants in the annual Hunger Hike at Riehle Plaza in downtown Lafayette, and we need your help to make our efforts matter! About a quarter of all residents of Tippecanoe County are at risk of going hungry, but they are not eligible for federal food assistance. 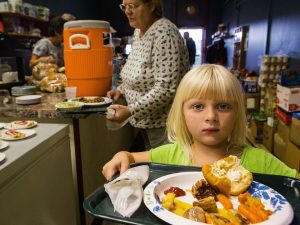 What that means is that they have to turn to food pantries and feeding programs run by local nonprofits, civic groups and churches in order to get enough to eat. Unfortunately, the problem among households with children is even more serious. Too many children in our community are missing out on the nutrition they need for their healthy growth and development. This is especially unacceptable when there are solutions to ending hunger in our community now. Hunger Hike is one of those solutions. Hunger Hike is our community’s oldest and most well respected fundraising walk, dating back to the early 1970’s. Last year more than 1,100 people participated in the event. Over the years, more than $1.6 million dollars have been raised, providing vital funding to the feeding programs of Lafayette Urban Ministry and Food Finders Food Bank, Inc. 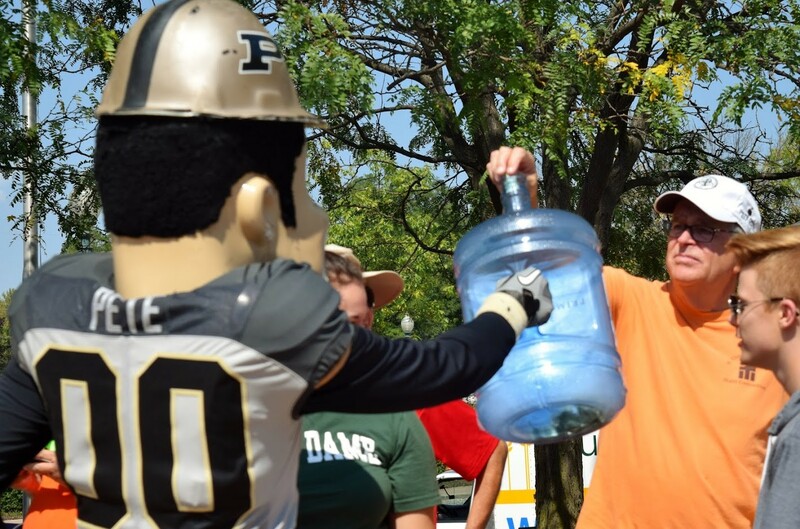 In addition, Hunger Hike also helps to fund efforts by St. Thomas Aquinas Center to purify water and safely preserve agricultural commodities in the fight against hunger in Haiti. We also hope that you will join us in making a generous financial gift to Hunger Hike, right now, prior to the event. Your gift of $35, $50, $100, $250, $500, or more, will help us to meet our $115,000 fundraising goal and allow our three sponsoring organizations to feed hungry children and strengthen families who are experiencing food insecurity. We hope you will contribute generously to Hunger Hike again this year. Join us on the front lines in the fight against hunger. Please, can we hear from you as soon as possible? Make out your check to “Hunger Hike” and place it in the enclosed envelope – or give online at hungerhike.org/donate.